Look at the detailing! Roses and barrels. How do you get this bracelet? If you are a V.I.B. with Sephora, just go into the store and ask for one when you make your next purchase. They'll look up your account to check if you're a V.I.B. and then give you a bracelet. You don't need a printout or coupon for this. The offer is good while supplies last. 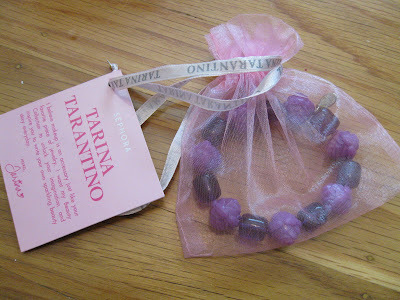 Online, you can use the code VIBTARINA at checkout and choose which color you want. However, last I heard, they were out of these online so beast bet is to check in the store. 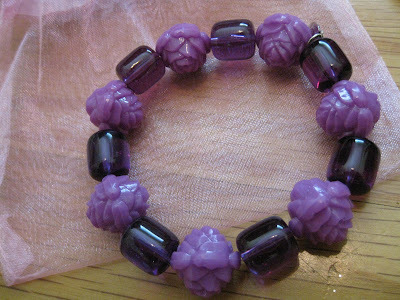 These are a valued at $30 and are available in purple, red, & black. Some people have been saying that these are cheesey and cheap looking but honestly, who cares? This is the trademark Tarina style -bright pieces and lots of plastic! Plus, it's freeeeeeee! 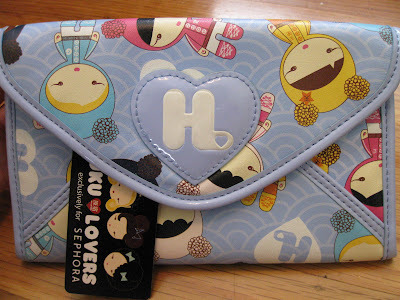 Overall, this wallet is really cute. However I have to warn you that it's so easy to get dirty -even if you have nothing in your purse! I don't know how but I always get these scuff marks on the white "H" and on the edges of the wallet. 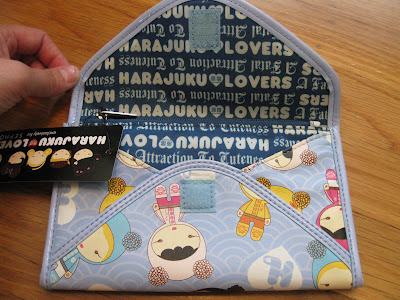 I do really love the design and there's a ton of space to hold receipts, bills, coins, coupons, etc. 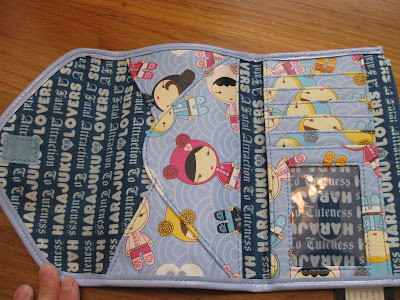 There are 6 slots for cards, 3 open compartments (receipts, bills), 1 zippered compartment (coins), and velcro closure. 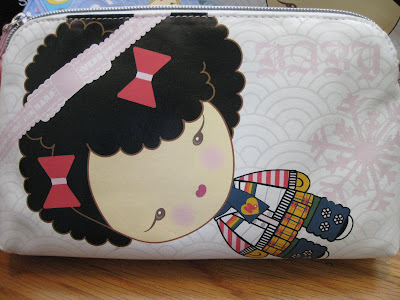 The wristlet is medium sized and is really nice for some makeup and pens -something to just throw in my purse. 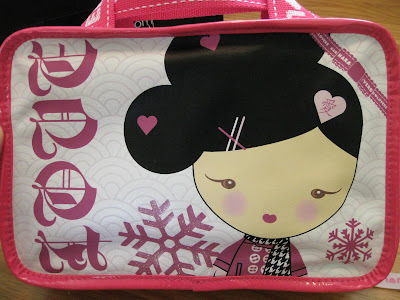 I like their little winter outfits and the neon pink material (inside the bag.) I also like that there are different characters on each side of the bag. There's some pastel pink detailing (snowflakes and arches) with glitter!! The handle is also pastel pink. However, it is white so I'm afraid to get it dirty. 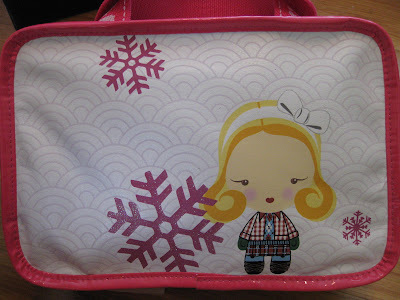 Zippered compartments and lots of space! I really like this bag and think it will be great for weekend travels. 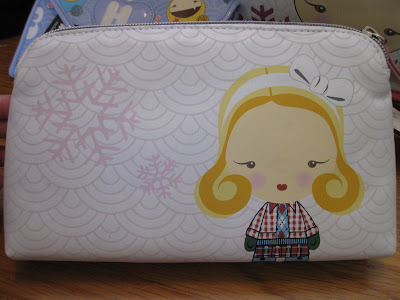 Like the wristlet, it is white though so I'm a little weary about that. I love that the inside has neon pink material. 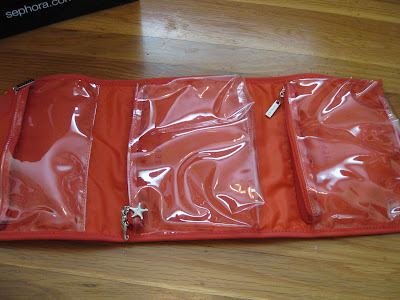 The compartments have clear plastic covers as well -which makes it easier to see what's inside. I think the inside will be easy to wipe clean but I'm not so sure about the outside of the bag. 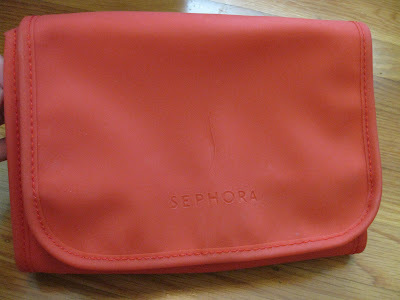 I also wanted to do a post this Sephora Brand makeup bag I picked up for $10 last month.. 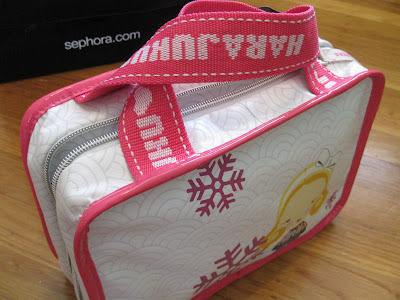 I really, really love this Sephora Brand "Calypso Soul" hanging bag. I think it's such a practical bag. It's not the fanciest bag -but it's soooo pratical and useful. I bought that last one at the store in orange but they're also available online (only in pink.) I also bought the pink online but prefer the orange (even though I love pink!) The orange is just so summery and bright. The bag is made of that "rubbery type" material and is easy to wipe clean. 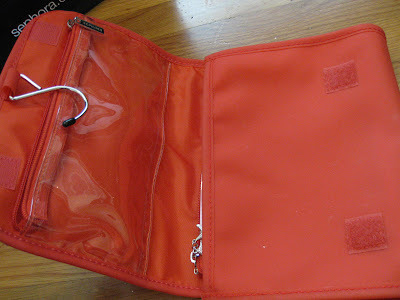 I also like that it has clear plastic compartments so you can see what's inside. 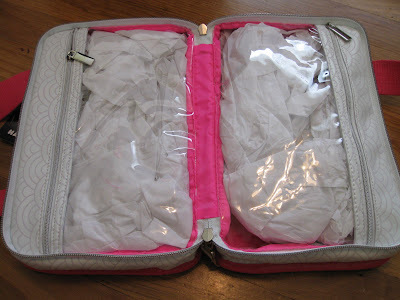 It rolls up like a brush roll and is super convenient for travel. 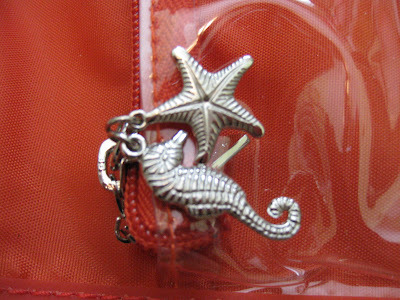 The middle compartment also has some starfish and seahorse hardware on the zipper. LOVE this bag and it's only $10. Okk.. THAT was a long post. Always check out the sale section of Sephora -they always have amazing deals. 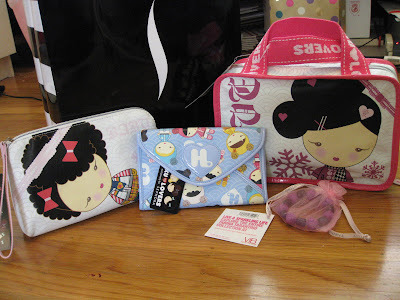 I can't wait for the "Summer" Harajuku collection to go on sale now.